December 23 is Festivus! To commemorate the occasion, I have built a traditional Festivus pole with a couple added features. To my knowledge, this is the first electronic Festivus pole on the internet. For those of you unfamiliar, Festivus is a holiday comically celebrated as an alternative to the pressures of commercialism commonly associated with other winter holidays. Originating from the 1997 Seinfeld episode “The Strike”, the traditions of Festivus include demonstrating feats of strength, declaring common occurrences as Festivus miracles, airing of grievances, and of course the fabrication of a Festivus pole. Over the years various Festivus poles (often made of beer cans) have been erected in government buildings alongside the nativity scene and menorah, including this year in my home state Florida (the video is a good laugh). Here, I show a Festivus pole I made made from individually illuminated diet coke cans which performs as a simple video game, controlled by a single button. The illuminated can scrolls up and down, and the goal is to push the button when the top can is lit. If successful, the speed increases, and the game continues! It’s hours of jolly good fun. Now for the design. I found a junk box 12V DC wall-wart power supply which I decided to commandeer for this project. Obviously a microcontroller would be the simplest way to implement this “game”, and I chose to keep things as minimal as possible. I used a single 8-pin ATMEL ATTiny85 microcontroller ($1.67) which takes input from 1 push-button and sends data through two daisy-chained 74hc595 shift-registers ($0.57) to control base current of 2n3904 transistors ($.019) to illuminate LEDs which I had on hand (ebay, 1000 3mm blue LEDs, $7.50 free shipping). A LM7805 linear voltage regulator ($0.68) was used to bring the 12V to 5V, palatable for the microcontroller. Note that all prices are for individual units, and that I often buy in bulk from cheap (shady) vendors, so actual cost of construction was less. To build the circuit, I used perf-board and all through-hole components. It’s a little messy, but it gets the job done! Admire the creative resistor hops connecting shift registers and microcontroller pins. A purist would shriek at such construction, but I argue its acceptability is demonstrated in its functionality. The installation had to be classy. To stabilize the fixture, I used epoxy resin to cement a single coke can to an upside-down Pyrex dish (previously used for etching circuit boards in ferric chloride). I then used clear packaging tape to hold each successive illuminated can in place. All wires were kept on the back side of the installment with electrical tape. 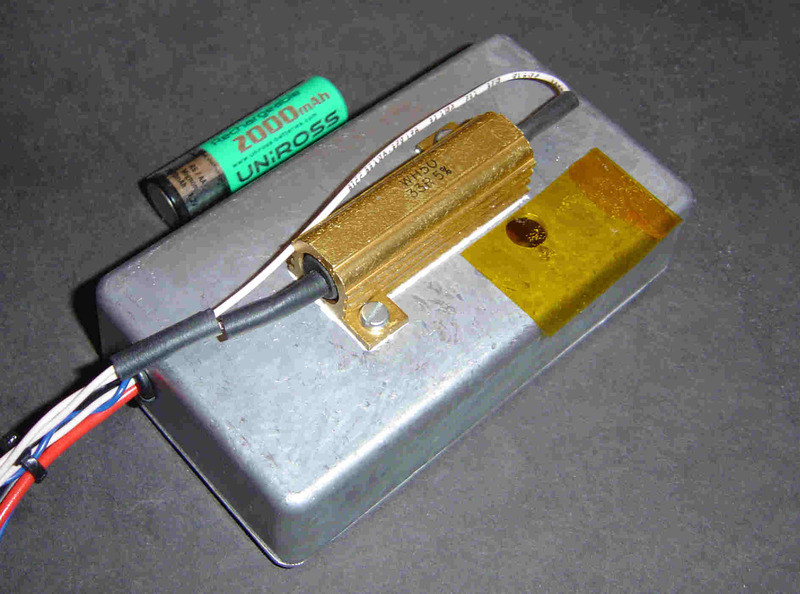 Once complete, the circuit board was placed beneath the Pyrex container, and the controller (a single button in a plastic enclosure connected with a telephone cord) was placed beside it. It’s ready to play! Sit back, relax, and challenge your friends to see who can be the Festivus pole video game master! // we just pushed the button.